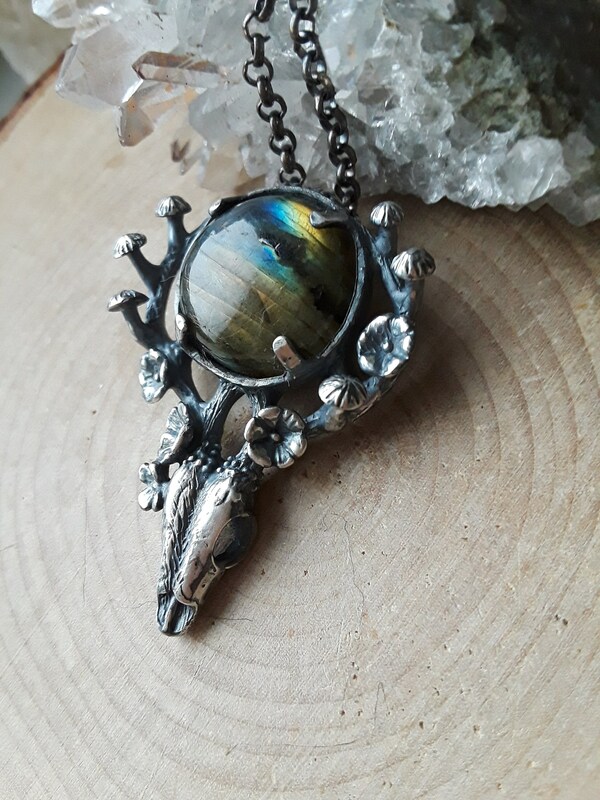 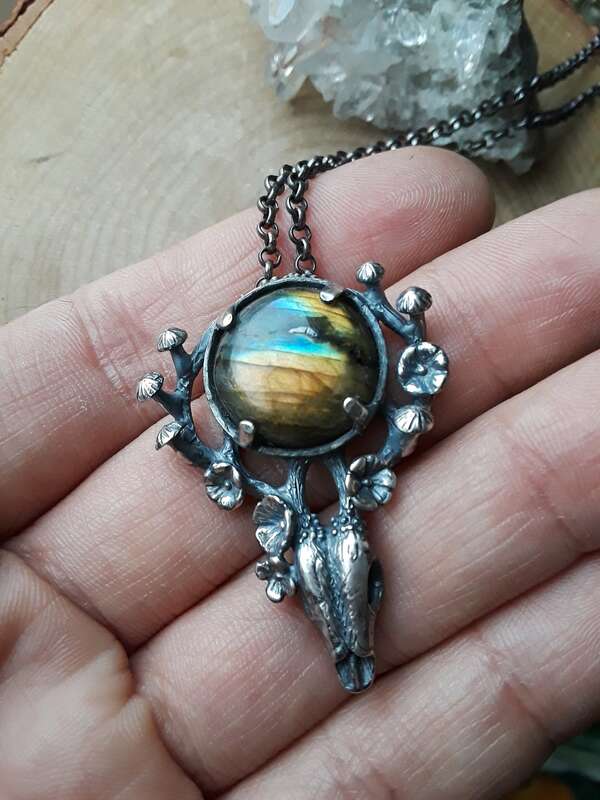 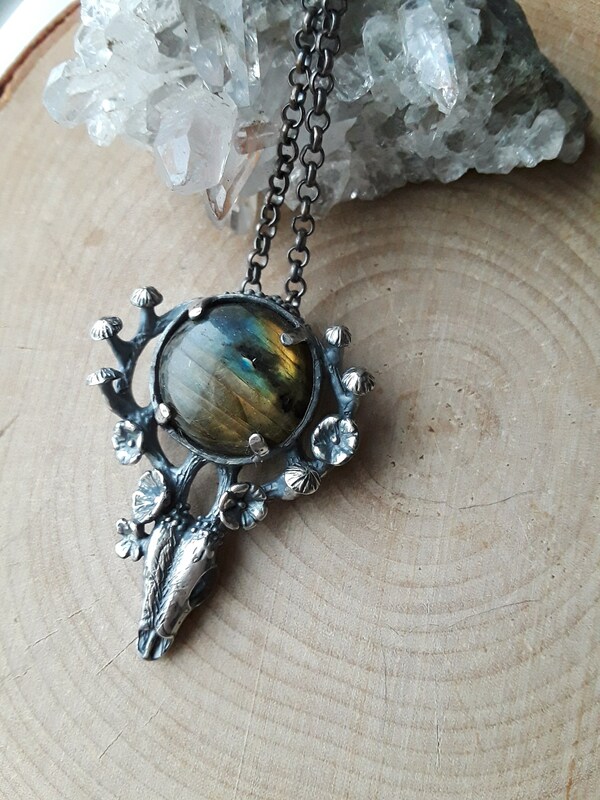 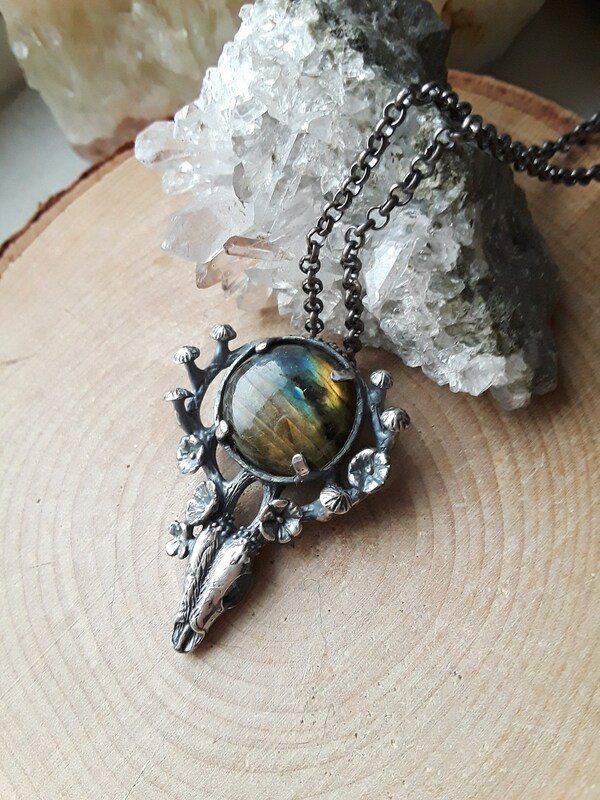 This stunner captivates with a mesmerizing flashy labradorite and adorned with mushrooms and flowers sprouting from the deer skull, the otherworldly counterparts to my Fungi & Fauna mushroom deer. 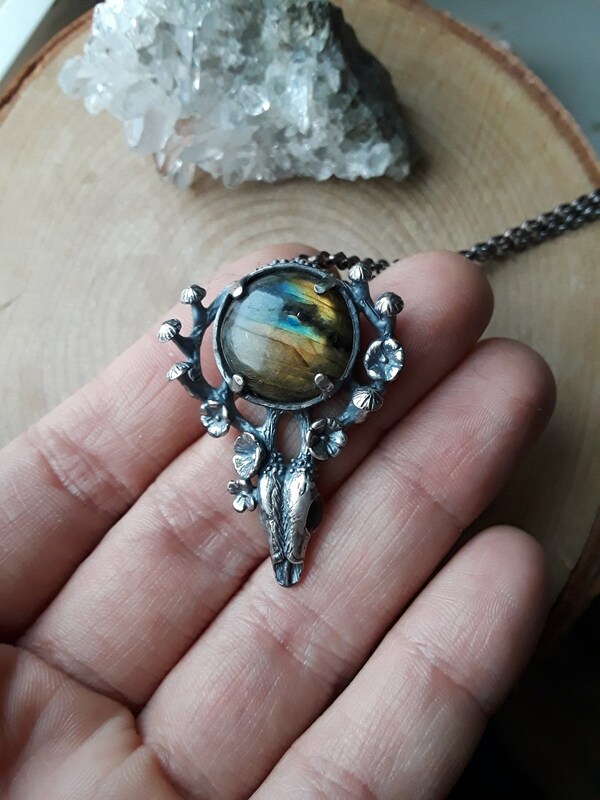 Each piece is one of a kind, this series is now signed and numbered on the back. 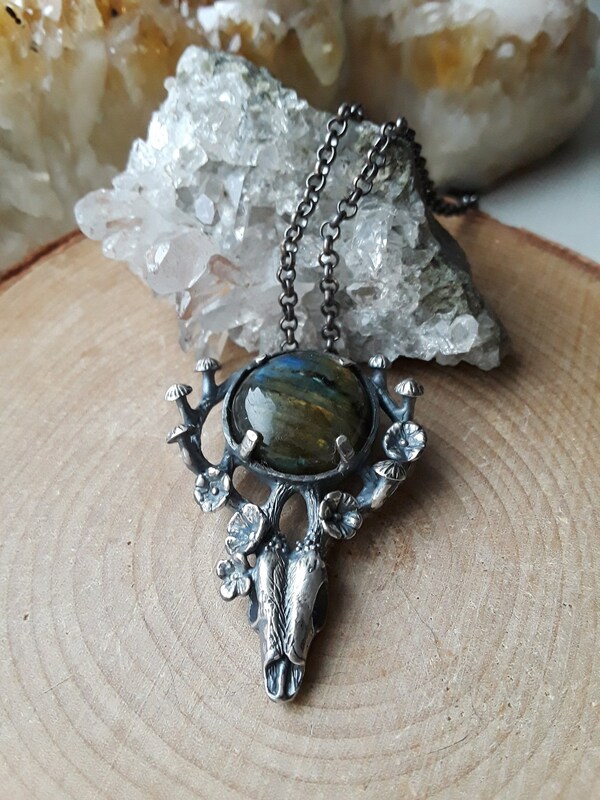 Dimensions: The pendant is approximately 1.5" long and 1.2” wide with the labradorite measuring at 15mm, and hangs on an 18"-20" adjustable sterling silver 2mm rolo chain and has a lobster claw clasp.